This quick guide walks you through the crucial aspects of a proper Tomcat SSL installation. First, you will learn how to generate a CSR code for you Tomcat server. Second, you will master how to install an SSL Certificate in Tomcat. 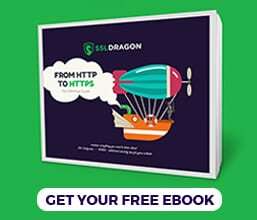 Finally, you will discover a bit of Tomcat history, and the best place to buy an SSL certificate for your Tomcat server. Where to buy the best SSL Certificate for Tomcat? CSR stands for Certificate Signing Request, a block of text containing current details about your domain ownership and company. 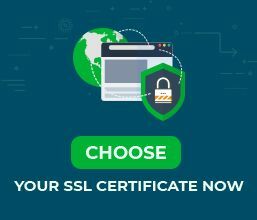 All buyers of commercial SSL certificates must submit the CSR to their Certificate Authority to pass the SSL validation and obtain the certificate. Note: Don’t forget to replace “example” with the primary domain name you want to secure. You may use any custom alias. For this demonstration, we’ve used ssldragon. Your CSR code is ready. It resides in the example.csr file. You can open it with any text editor of your choice and copy-paste the whole content during your buying order. To ensure you don’t miss a line, use the ctrl+a hot key to select the entire text. After the Certificate Authority validates your request and sends you the SSL files, proceed to the SSL installation. Note: Replace ssldragon and example with your alias and file names. If you see the message “Certificate reply was installed in keystore”, you’ve successfully imported the certificate. You can use the following command to check the details of your certificate: keytool -list -keystore example.jks –v. Note: Replace the alias with the your own one. After the import, your next step is to edit the Tomcat configuration file. By default, it’s called server.xml and resides in the Home_Directory/conf folder. Please change the parts in bold. For keystoreFile parameter, specify the directory of your keystoreFile. For keystorePass attribute, enter your keystore password. Note: If this is your first Tomcat configuration, the keystoreFile and kyestorePass lines may be missing. You will have to manually add them. Also, you will need to uncomment the connector by removing the comment tags (<!– and –>). Congratulations! You’ve successfully installed an SSL certificate on Tomcat. After you install an SSL certificate in Tomcat, several unnoticed errors may creep in and affect the performance of your certificate. Make a habit of checking your SSL installation regularly. Use one of these high-end SSL tools to get instant scans and reports. Tomcat Server, officially known as Apache Tomcat, is an open-source Java servlet container developed by the Apache Software Foundation (ASF). The original author of Tomcat is James Duncan Davidson, an American photographer, and developer. According to Apache’s wiki page, Davidson picked the “Tomcat” name because it represents an animal that could take care of itself and fend for itself. 9.0 – released in 2018, it is the latest Tomcat version, at the time of writing this article. You can find the perfect SSL Certificate for your project and budget with the help of our handy SSL Wizard and Certificate Filter. The first tool offers a quick and highly accurate.